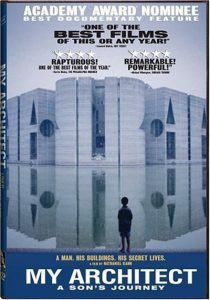 Friday, February 1, 2019 at 2:00 pm In the Library Loggia An informal discussion about the documentary, "My Architect". Attend the screening of “My Architect” on Thursday, January 31st in the Community Center Auditorium. On Friday, February 1st at 2 PM, come to the library loggia to join in a conversation about the film.